Really? I can’t? It was time to tell Derek that he’s not getting the correct information from the correct source. This is exactly why I went on this diet challenge, without this journey, I can’t prove my point: EATING BREAD DOES NOT MAKE YOU FAT OR UNHEALTHY. To further prove my point, I’m eating as much bread as a woman my age can humanly do. I believe Derek was trying to do an expose on my journey, and I wasn’t going to crumble under his questions. He is a strong believer in a low carb diet, which was the reason for his recent weight loss. We had a strong discussion on calories in and calories out, and I asked him to check out the calorie math that I have logged so far on my journey. I consume about 14,000 calories per week in total. After exercising an average of 35 mins every day, I was able to target about 2,000 almost every day. There is no magic to this. I’m able to keep to my target weight, even after eating lots of bread every day because the math is right. This is no secret. Nutritionists have practiced this method for ages. I’m not doing anything new, but try to fight the wrong keto and low carb information out there about bread. 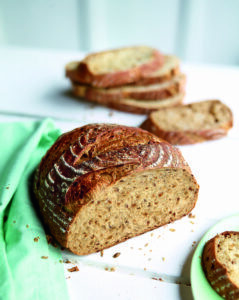 Softgrain Sprouted Rye bread from Puratos. 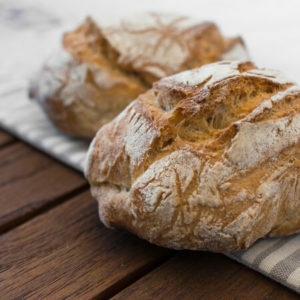 Is eating lots of bread healthy? “You can’t recommend this diet to anyone, it’s dangerous,” he said. Well firstly, I don’t recommend eating this much bread, because it takes a lot of effort to eat that much bread in a day and to maintain your weight. Secondly, I doubt if anyone is going to follow my steps to eat bread at every hour, it’s too troublesome, and definitely not a catchy diet to sell. I asked Derek why he thought it was unhealthy, and he said it was too high in carbs and so much gluten is not good for my health. And there you have it, my friends. This information is roaming freely around the internet, yet there is no one to challenge it but on this blog. While I’m trying to fight all this information about bread and healthy eating habits, I’m supported by the folks at Puratos, who sent me delicious crusty softgrain sprouted rye Artisan bread. It took me 2 days to finish a loaf each. I love eating crusty artisan style bread. Thank goodness, this journey has it rewards, or I would have given up some time ago. At a reception with so many food choices. It’s easy to go wrong without my bread diet. Luckily, I brought my sprouted grain artisan loaf. Here, I ate it with about 1/2 Cup of Ceviche.